Military families face stressful times that are unique to the military lifestyle. 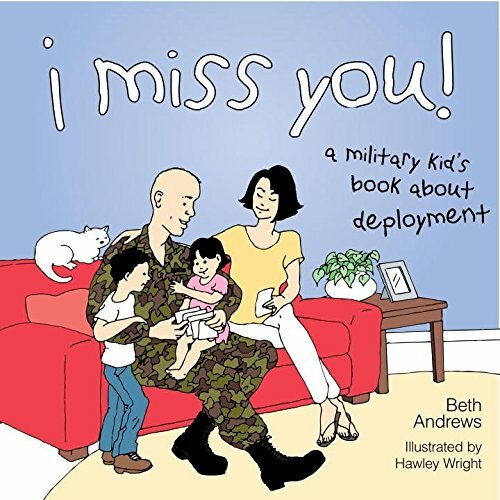 One of the most challenging situations, both for children and parents, is when a father, mother, or sibling is deployed for military service and must be away from the home. Children often experience sadness, anger, fear, anxiety, and loneliness, and they do not understand their own feelings or know how to express them. This book is designed to help children especially, but also their parents, during such difficult times. Based on many years of experience as a social worker, who has assisted military families experiencing stress, author Beth Andrews has created an excellent tool for allowing children and their loved ones to deal with the many emotions caused by deployment. The text and illustrations encourage children to discuss their feelings and to draw their own pictures to express themselves. The accompanying parents’ guide is designed to validate parents’ feelings and give them ways to help their children cope. Guided by this approach, a parent or caregiver can help their children understand why one of their parents or a sibling had to leave home, identify their reactions, cope with their feelings in a positive way, be assured that they are not alone, and try new activities to help themselves adjust. At a time when military families are asked to make many sacrifices in the service of their country, this reassuring book will be a welcome resource.